Sony has pulled two PSP titles from the PlayStation Network, reportedly over concerns that they can be used in PS Vita exploits. 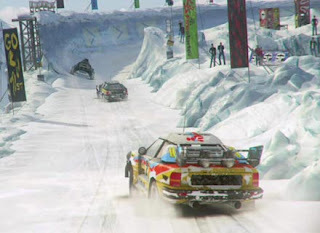 Hot Shots Tennis (called Everybody's Tennis in Europe) and MotorStorm Arctic Rift are no longer available for download from any device that connects to the PlayStation Store. MotorStorm was removed quite a while back, but Hot Shots Tennis was removed yesterday. The hack in question allows users to run unsigned code on the Vita in "PSP mode," enabling homebrew programming using the system's PSP emulation. In other words, it's possible to run stuff on the Vita with an exploit, but nothing that uses the full processing power of the system. We're optimistically hoping that Sony is looking into a patch for the exploit, so that it can resume selling those games. Making two games unavailable is a pretty terrible permanent solution.